I have been crushin' on Nars lately as evidenced by a few recent purchases. I might have freaked out a little when I heard of their release of the Pro Palettes a couple months ago. I probably built several ridiculously expensive palettes until I settled on this selection of wishlist items. Of course, there are many, many more that in my dream world I would add to this adaptable palette. I love eyeshadows, and actually don't have too many from Nars. Definitely a lot of classic duos I need and the pro palette format seems perfect to stock up. I have been wanting the Kalahari Duo for what seems like forever, and I only hear good things about Cordura. 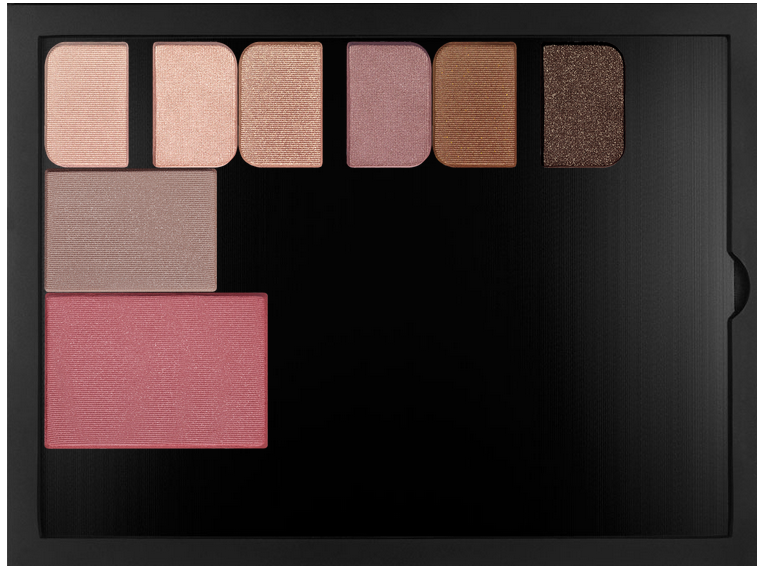 All About Eve is another classic for a neutral eye look. Ashes to Ashes looks like a cool violet taupe dream. The Nars blushes I have are basically my favourites of all my collection, so I can't help but want to add another shade in the mix. Dolce Vita rusty rose shade looks right up my alley. What would be in your dream Nars Pro Palette?